Washington D.C., Dec 6, 2018 / 07:00 pm (CNA).- An immigrant rights group hopes the Maryland legislature will protect migrant workers in the state from labor trafficking and fraud by banning recruitment fees, licensing recruiters for jobs, and prohibiting discrimination in recruitment. It is fairly common for migrant workers to be charged a fee by a recruiter to be matched with a job in the United States. But some migrants have reported paying the fee for a promised job that does not really exist. In other scams, a job is real, but the work is very different than the initial job description. Rachel Micah-Jones, founder and executive director of Centro de los Derechos del Migrante, Inc., a transnational migrant rights organization based in Mexico and the United States, explained to CNA that a labor trafficking and fraud bill is important for Maryland because of the number of foreign workers in the state. Michah-Jones says a labor-trafficking bill could create a system of licensing for recruiters, and a registry of recruitment agencies. This bilingual registry would be a way for a potential worker to verify that the job they are being offered actually exists and that the terms of employment are what they are expecting. This registry would also be a way to track employers, create a level of oversight, and crack down on labor trafficking. Micah-Jones spoke Dec. 6 on a panel at the USCCB’s Migration and Refugee Services “Justice for Immigrants” conference held in Arlington, Va. While similar bills have been passed in California and New Jersey, Micah-Jones highlighted the importance of this legislation for the Old Line State. Maryland is “a big destination state” for international workers, she explained, and has “the full alphabet soup” of visa holders who work in industries across the state. “This bill is really important because it would prohibit the charging of fees for workers who are recruited to work in the state of Maryland,” she said. These recruitment fees make migrant workers more vulnerable to abuse, as they are indebted to their employer. Other times, these workers may be discouraged or afraid to speak out about abuse on the job due to fear of losing their visa. These types of fees “need to be eradicated,” said Micah-Jones. Nearly 37,000 guest workers came to work in Maryland in 2016. The largest percentage of these workers were in the United States on J-1 visas, and worked as au pairs, camp counselors, or in internships. In addition to the elimination of fees, a bill could also add transparency to the international labor recruitment system, which Micah-Jones said is “crucial” for the prevention of fraud. Micah-Jones thinks that the passage of such a bill would be a “huge step forward” to increasing transparency and accountability for recruiters who are bringing workers to Maryland. “Many workers are recruited for jobs that oftentimes that don’t exist, (even) after paying for those jobs,” she added. The bishop’s statement did not respond directly to calls for his resignation, though it made clear that he intends to remain in his position. 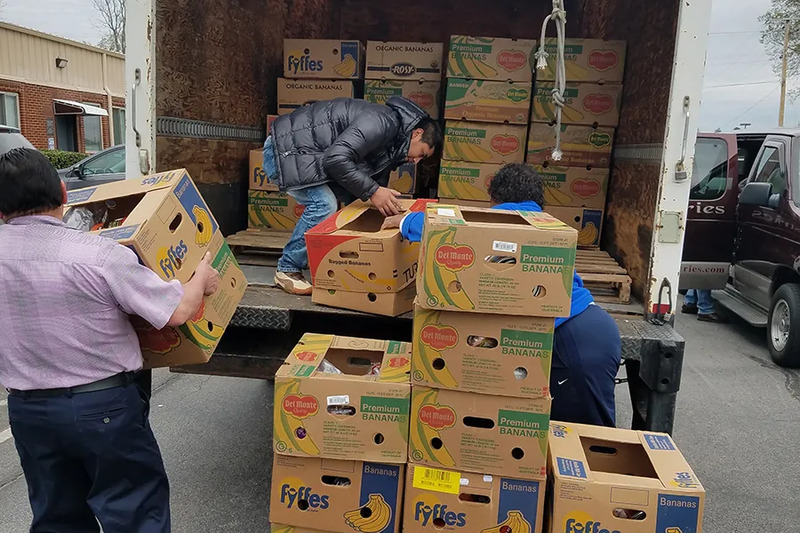 Knoxville, Tenn., Jun 25, 2018 / 03:01 am (CNA/EWTN News).- The April day nearly 100 workers were taken into custody in the country’s largest worksite immigration raid in a decade, St. Patrick’s parish center in Morristown, Tenn. opened to the community and donations started pouring in. The parish center stayed open until 3 a.m. the night of April 5. 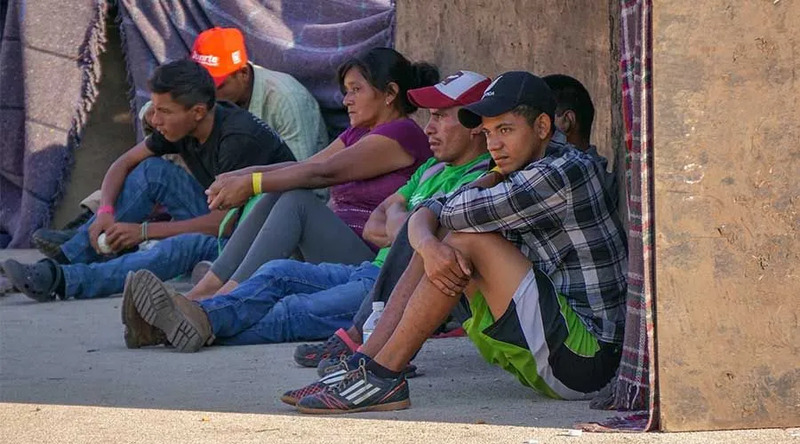 Husbands, wives and children gathered together, trying to find out what had happened to their relatives and community members, waiting as 43 of the 97 people in custody were eventually released back to their families. In the days following, donations of food, clothing, toiletries, and money poured in to the parish. “We had a lot, I mean a surplus of things. We were running out of room, we had to move things down to the [church] basement,” Veronica Galvan told CNA. The director of religious education at St. Patrick and a resident of Morristown for 23 years, Galvan was well-known in the community, located about 45 miles northeast of Knoxville, and the first to ask the pastor, Fr. Patrick Brownell, to open the church the day of the raid. For the first two weeks the center “was crazy,” she said. Every day, more than 200 people who had been affected, either directly or indirectly, gathered at the parish. More than 100 volunteers came and went throughout the day from around the wider community, including lawyers, doctors, priests, and other religious ministers. Three religious sisters originally from Mexico also came to help and to pray with people, Fr. Brownell said. Quickly, they ran out of space for physical items and had to ask people to give only money. In most of the cases, those in police custody following the raid were the primary or only breadwinners of their families, and people needed help just to continue to pay their bills. Galvan said with the money they received they paid the families’ bills for two months. With the more than $50,000 received through a GoFundMe campaign set up by local Hispanic and Latino aid group H.O.L.A. Lakeway, $1,000 was given to each worker to go toward their bond. A prayer vigil was held in the community April 9 and Fr. Brownell has left the church accessible at night via a door code, so that if anyone wants to go the church to pray at night they can. As of June 13, 35 of the 54 people taken out of state and held in an immigration detention facility have been released on bond and are back with their families. But as they await court dates and a lengthy legal process which could result in deportation, they are not legally allowed to work or drive. And the money the community and St. Patrick’s raised has run out. This is one of the purposes of a weekly meeting still taking place at the church. A group of those affected created the meeting for additional support and training on things like driving and paying bills, for those who had relied on detained family members for these tasks. Other organizations, including Catholic Charities of East Tennessee, are working to ensure workers have access to legal counsel and help with their court cases. Though it is unknown exactly whom taken in the raid was a member of St. Patrick and St. John Paul II mission church in nearby Rutledge (names are kept as private as possible for security), there were certainly Catholics among them, Fr. Alex Waraksa said. The assisting priest for Hispanic ministry in Morristown, who also assists at four other area churches, he was present to speak with people at the parish center following the raid. It was “a place to be during the day and get different types of support,” including prayer, he said. In some cases, church records on sacraments can help workers in their legal case because it provides a record of the depth and length of their ties to the community, Waraksa said. Unfortunately, there have been godparents and parents who, detained, have missed seeing their children receive the sacraments. St. Patrick has tried to reach out to youth, too, following the raid. Wednesdays the church hosts youth nights for middle and high schoolers, with usual attendance at about 160 students, about half Hispanic, half non-Hispanic, Jacobs said, noting that it is a lot for a town of not many Catholics. Morristown’s population is around 30,000, with around 900 families attending St. Patrick, though Waraksa said some families may bounce among the areas’ Catholic churches for Mass. 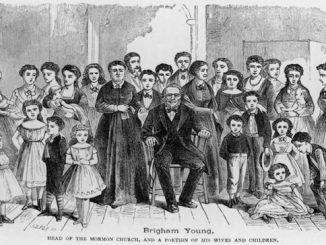 Jacobs was nervous that the students would not show up for youth group the week following the raid, though. The fear had been so strong the first few days afterward, not only did many people not go to work, Fr. Waraksa said, 500-600 students didn’t show up at school. Regardless, Jacobs and others worked with a community organizer from a neighboring town to host an evening on community activism and how to enact change. That night not only did most of the students show up, the usual 30-40 adult leaders were accompanied by another 35-40 counselors from the local schools and healthcare systems. They created small groups that allowed the kids to talk about their feelings, and Jacobs noted the trauma not only for kids who had parents and other relatives taken, but also for the kids whose friends and classmates had been affected. “It’s kind of hard to explain [the raid] to a kid when you’re trying to teach them the values of love of neighbor and… to accept people no matter their skin color, or what their background is, [and] then you have adults doing the exact opposite,” she said. Though the overall responses from the churches in Morristown and Rutledge were positive, St. Patrick’s pastor, Fr. Brownell, said not all the voices were united on the issue. He said if you take the non-Hispanic part of their community, “many of them are split down the center [on immigration], very much like the rest of the nation.” The criticism he heard was only from a small number of people, though those few were vocal, he noted. Unfortunately, the Morristown Hispanic community faced another tragedy, when two teens from Guatemala were found to have drowned in a local lake June 19. Fr. Brownell and other staff members of St. Patrick worked to help organize the joint funeral this week.